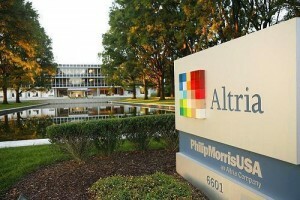 As soon as Altria Group, Inc. Chairman, CEO and President Martin J. Barrington opened the 2016 Annual Shareholders Meeting, he boasted that 2015 had been “another terrific year.” The “excellent business results” included dividends increasing by 8.7% (to $4.2 billion) and a shareholder return of more than 23%. Marlboro, with 44% of the retail share in the United States, is larger than the next 10 brands combined. But, just as at the Reynolds American Inc. meeting two weeks earlier, the tobacco company executive made no mention of other numbers – numbers that tally the toll in death and disease that is directly caused by the intended use of the company’s main product. By distributing to shareholders a colorful, glossy handout summarizing the company’s 2015 business accomplishments, Mr. Barrington significantly cut back on the length of his oral business report compared to previous annual meetings. After that report and some perfunctory votes on election of the board of directors and the accounting firm were completed, the meeting’s agenda quickly came to the question and answer session. “Just within the past two months, the following developments have occurred. “On March 17, the Florida Supreme Court ruled in the Soffer case that the widow of a smoker who died of lung cancer can seek punitive damages against a tobacco company on strict liability and negligence claims. “And, earlier this week on May 16, the U.S. Supreme Court in the Schwarz case declined Philip Morris USA’s request to review an Oregon jury’s $25 million punitive damages award to a widower whose wife died of lung cancer. Mr. Barrington’s response echoed the traditional party line from the top executives of the major cigarette companies in the United States: tobacco litigation is a “well-managed risk” that should not alarm shareholders and investors. He commended the quality of the work of the company’s lawyers, including Denise Keane, Altria’s General Counsel. A representative of the AFL-CIO’s Farm Labor Organizing Committee (FLOC) cited “poverty wages and squalid housing” on tobacco farms and called on Altria to crack down on the abuses of farm workers in tobacco fields. He also specifically mentioned Jackson Farms in North Carolina, where seven workers who had filed a wage theft lawsuit were subsequently blacklisted. Mr. Barrington responded by confirming that Altria does not use Jackson Farms to get any of its tobacco. Cathy Rowan, representing Trinity Health, spoke in favor of a resolution calling on Altria to “undertake a thorough analysis, engaging chemical and pharmacological experts as needed, of all the harmful liquids, additives and chemicals and their potential health consequences when each brand of our tobacco products is used as intended by consumers and report the results of the analysis on the Company’s website.” Ms. Rowan noted that there is no clarity regarding the ingredients in Altria’s cigarettes and e-cigarettes and that compliance with the U.S. Food and Drug Administration’s (FDA) deeming regulations (which were adopted on May 5, 2016) could take up to three years. 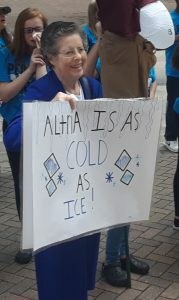 After the 45-minute meeting concluded, I went outside to meet some of the 40 youth members of Reality Check who had protested against Altria’s targeting of youth. 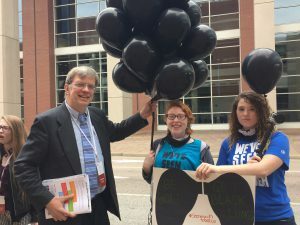 [Insert photo] The loud protests were heard inside the Richmond Convention Center (especially as attendees came to and from the restrooms) before, during and after the shareholders meeting. There are 8,760 hours in any given year (excluding leap years). The management of Altria Group, Inc. used just under one of those 8,760 hours to conduct its 2015 Annual Shareholders’ Meeting at the Greater Richmond Convention Center in Richmond, Virginia on the morning of May 20th. The meeting began precisely at 9:00 A.M. and was adjourned at 9:57 A.M.
Officials from the AFL-CIO’s Farm Labor Organizing Committee addressed concerns about child labor in tobacco fields as well as the effort to get substantive change in the conditions, wages and housing for tobacco farm workers. Cathy Rowan, on behalf of Trinity Health as well as Catholic Health Initiatives , the Sisters of St. Dominic of Caldwell, New Jersey, the Sisters of Charity of St. Elizabeth and the Sisters of St. Francis, supported a resolution asking the Altria Board of Directors to “initiate efforts to develop materials informing tobacco users who live below the poverty line or have little formal education about the health consequences of smoking our products along with market-appropriate smoking cessation materials.” The proposal “speaks to the high prevalence of smoking among people living in poverty, people with disabilities and minority populations. Many of these are fellow citizens who are people who have the fewest resources, the least amount of social support and the least access to cessation services.” The company’s opposition to this resolution claims that the company “believes the wide variety of current communication programs sponsored by multiple parties addresses the objectives of this proposal.” This resolution was defeated. Two other shareholder resolutions were presented. One, sponsored by the AFL-CIO, called on Altria Group, Inc. to prepare a report on the steps it has taken to reduce the risk of acute nicotine poisoning (or “Green Tobacco Sickness”) for farmworkers in the company’s supply chain for tobacco. The other resolution, sponsored by the Province of St. Joseph of the Capuchin Order in Milwaukee, requested the company’s Board of Directors to “create a policy that all its suppliers throughout its tobacco procurement supply chain verify (with independent monitoring) their commitment and compliance regarding non-employment, directly or indirectly, of laborers who have had to pay to cross the U.S. border to work or, once here, to work on U.S. farms.” Just as at the Reynolds American Shareholders Meeting two weeks earlier , both of these resolutions were defeated. On September 16, 2014, a jury in the U.S. District Court for the Middle District of Florida returned a verdict of $27,010,000.14 against Philip Morris USA on behalf of Judith Berger, who started smoking in 1958 at the age of 14. 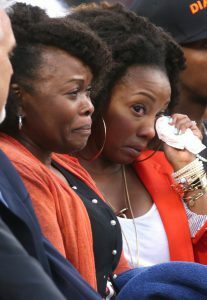 Clearly outraged by evidence of Philip Morris’ conduct in targeting children, the jury awarded over $20 million in punitive damages and added fourteen cents to the total. Judith Berger, as did her now-deceased twin sister, developed severe chronic obstructive pulmonary disease (COPD) from smoking. This case in federal court is one of thousands of “Engle Progeny” lawsuits that were filed following the Supreme Court of Florida’s 2006 ruling in Engle v. Liggett Group, Inc., 945 So. 2d 1246 (Fla. 2006). The trials in these lawsuits, which began in February 2009, have resulted in plaintiff verdicts in approximately two-thirds of the 120 such trials that have reached a jury verdict. While most of these cases are being tried it state court, it is encouraging to see plaintiff victories occurring in federal court as well. Achieving justice and holding powerful corporations accountable for their wrongdoing: that’s what the Engle Progeny litigation is all about. 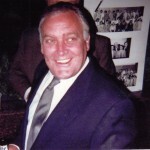 For seven years, cigarette companies have repeatedly claimed that the Florida Supreme Court’s decision in Engle v. Liggett, which relieved about 8,000 Florida cases of the need to prove general liability or that cigarette smoking causes disease, violated the Due Process Clause of the Fourteenth Amendment to the U.S. Constitution. They repeatedly represented to industry analysts and shareholders that these key procedural advantages, which have helped plaintiffs in the trials held to date obtain verdicts against the cigarette manufacturers in two out of every three cases, ultimately would be wiped out as unconstitutional. The original ruling was based on the long-established notion of res judicata, meaning that the matter had already been judged. The issues that the defendants wanted to re-litigate were already determined in a year-long class action trial in 1999. Twice now, the cigarette companies have failed to get these important procedural advantages overturned by the U.S. Supreme Court and it appear that, for all intents and purposes, the industry’s uphill legal battle has just become considerably steeper in Florida. Last November, the U.S. Supreme Court declined to review an appeal of another Engle progeny case, Clay v. RJ Reynolds Tobacco, which raised similar Due Process issues. Today, about seven months after the Florida Supreme Court issued a decision upholding its 2006 Engle ruling in Philip Morris v. Douglas, the industry was again rebuffed by the nation’s highest court and may have exhausted ways of arguing that its Constitutional rights to due process have been denied in Florida. 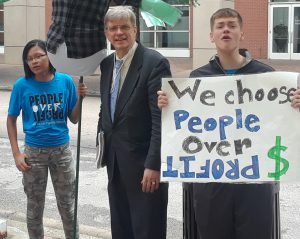 In sharp contrast to the manner in which management at Reynolds American, Inc. conducted its annual meeting of shareholders a week earlier, Altria Group, Inc.’s Chairman and Chief Executive Officer Martin J. Barrington treated everyone at the May 16th meeting in Richmond, Virginia with courtesy and politeness. Barrington began his presentation by commending the Altria Board of Directors’ “strong leadership and oversight.” He touted “strong results in 2012” and declared that the company’s “main brands did well.” Citing the company’s 9000 employees, Barrington praised the company for being a founding member of the Farm Labor Practices Group, supporting the arts and investing in communities. 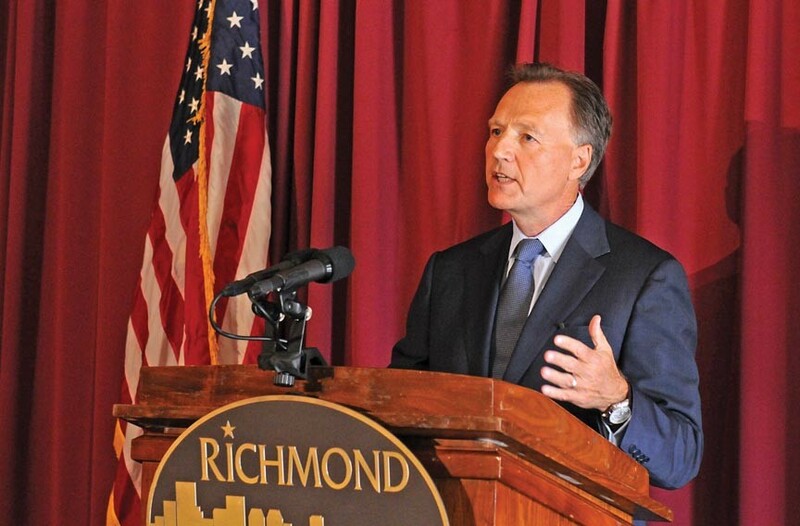 He admitted that “more needs to be done to discourage youth tobacco use” and, without giving any data showing how the program discourages youth tobacco use, praised Altria’s “We Card” program. Barrington reported increased market share for Marlboro (in red, green, gold and black) cigarettes and progress for Black & Mild (tipped cigarillos) and the two major smokeless tobacco brands of Skoal and Copenhagen. He informed the audience that the company would introduce NuMark, a brand of e-cigarettes, in the second half of 2013. Altria’s CEO also assured shareholders that the company’s outlook for 2013 is good; he noted that Altria had increased dividends six separate times since 2008. Also, Altria’s shareholder returns had increased by 84.2% during the span of 2008 to 2012. On the topic of tobacco litigation, Barrington declared that the company had “success in managing litigation,” mentioned the ongoing Brown case in California dealing with light cigarettes and said that Altria has “strong defenses” as it continues to defend Engle Progeny cases in Florida. “Description of the decision making process and oversight by management and the Board for making payments described in section 2 above. The results of preliminary voting were reported that the resolution was defeated with supporters garnering 21.82% of the votes cast. During the question and answer session, to which thirty minutes were allotted, this author noted that Altria had suffered a major setback in mid-March when the Florida Supreme Court ruled 6-1 that the way dozens of Engle Progeny trials have been conducted since February 2009 does not violate the tobacco companies’ due process rights. I concluded my observations about this litigation with the question: Why shouldn’t shareholders believe tobacco company attorneys who have warned about “massive liability” with thousands of Engle Progeny cases still in the pipeline with “no end in sight,” rather than believing the optimistic assurances from management? Barrington’s response was to acknowledge that litigation is a “challenge” and to refer shareholders to the company’s 10-Q report (PDF), which covers litigation in detail. Fr. Crosby noted that heavy users of cigarettes are often those who are at the lowest rung of the economic ladder. “What steps will Altria Group take to reduce consumption of its tobacco products by the poor?” Rev. Crosby asked. Mr. Barrington simply cited the company’s programs to reduce youth consumption without addressing low-income adult smokers. Even after a follow-up question by Fr. Crosby, Barrington refused to commit any company resources to trying to discourage tobacco consumption among low-income adults. After the 67-minute meeting had been adjourned, Altria Group, Inc., with its Marlboro brand having increased its market share of cigarettes by two-tenths of a percentage point in the first quarter of 2013, continued to conduct its business as it so usually does. During the course of the meeting, approximately 56 people died in the United States from smoking-caused diseases. Florida smokers and their families who are suing tobacco companies won a resounding victory on March 14, 2013 when the Supreme Court of Florida upheld its landmark 2006 ruling in Engle v. Liggett Group, Inc., 945 So.2d 1246 (Fla. 2006). By a vote of 6 to 1, Florida’s highest court ruled in favor of the plaintiff in Philip Morris USA, Inc., et al. v. Douglas, 2013 Fla. LEXIS 440, upholding a $2.5 million award in the death of Charlotte Douglas and explicitly rejecting industry arguments that the Florida Supreme Court’s ruling seven years ago violated the Due Process rights of the companies. 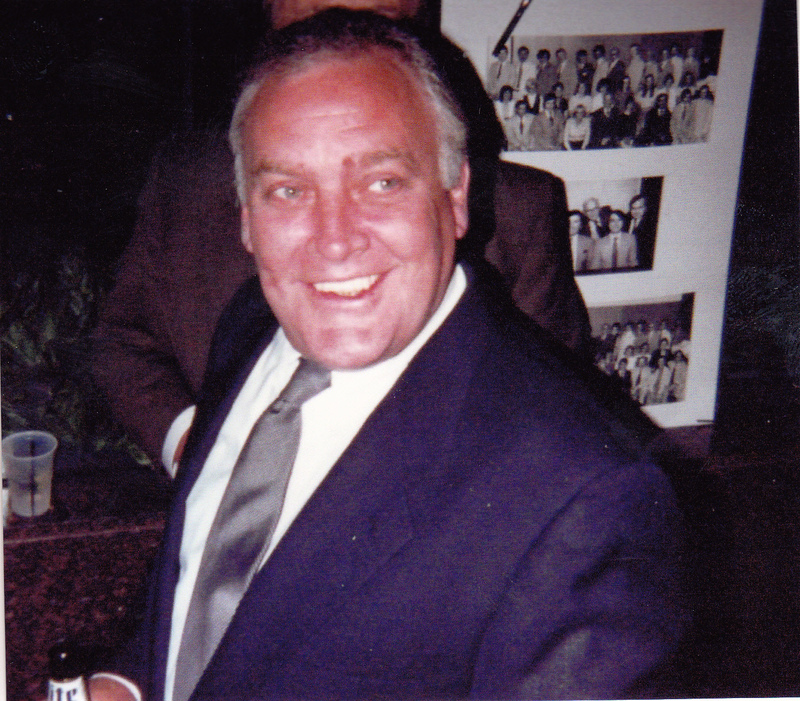 The Engle case originated as a class action and went to trial before a jury; that jury in Phase I of the trial found the defendant companies strictly liable, in that the cigarettes that the defendants manufactured and placed on the market “were defective in many ways including the fact that the cigarettes contained many carcinogens, nitrosamines, and other deleterious compounds such as carbon monoxide.” While the case ultimately was not allowed to proceed as a class action, the Supreme Court of Florida ruled in 2006 that the members of the class could file their own individual cases (so-called “Engle Progeny” cases) and proceed with those cases relying upon the jury’s Phase I findings of liability, including that smoking caused a variety of specific diseases, that nicotine in cigarettes is addictive, that the tobacco defendants placed cigarettes on the market that were defective and unreasonably dangerous and that all of the Engle defendants were negligent.